More than two million dog owners have found the secret to stress-free walks. Immediately eliminates pulling on the leash. 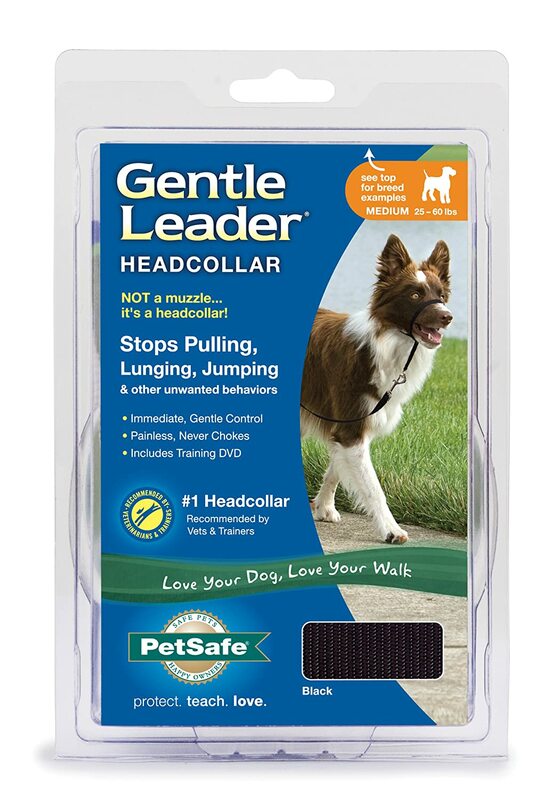 With the Gentle Leader, when you steer the dog's nose, you steer the dog's body. It's virtually impossible for a dog to drag you down the street when its head is turned to face you. Because it is scientifically designed to work with your dog's natural instincts to control unwanted behavior, results occur in minutes - not weeks. Medium fits dogs 25-60 lbs.